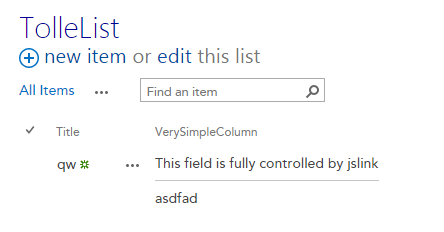 Pingback: SharePoint 2013 – Disable multiple columns in Quick Edit | Why Didn't I Think of That? “Now we have to update the jslink property for the new column. Make it in an app:”… Can you please elaborate on this? I am tryig this in sharepoint online. 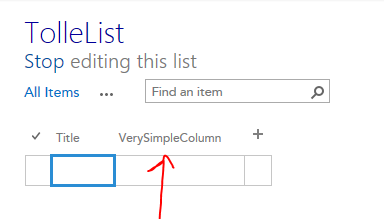 Do i need to write provided hosted app to link my custom js to this verysimplecolumn field? Good Point. 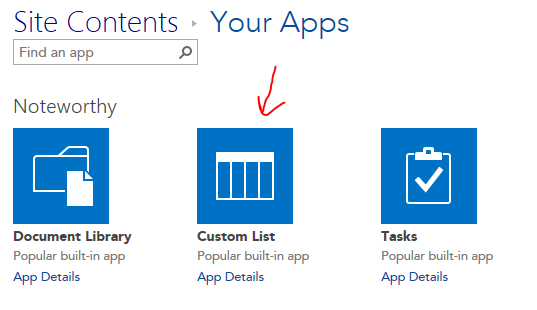 You can do it in many ways: provider hosted app, console app, you can also update this using JSOM. As the matter of fact, I am about to publish a tiny tool – a bookmarklet – for updating jslink. Stay tuned. Any idea how we can handle the copy paste events into the JSgrid.In IE we can copy from excel and paste(like in excel). I need to validate some columns on bulk paste.However none of the handlers are being called when its pasted from clip board. great article! Was very, very helpful. Thank you!